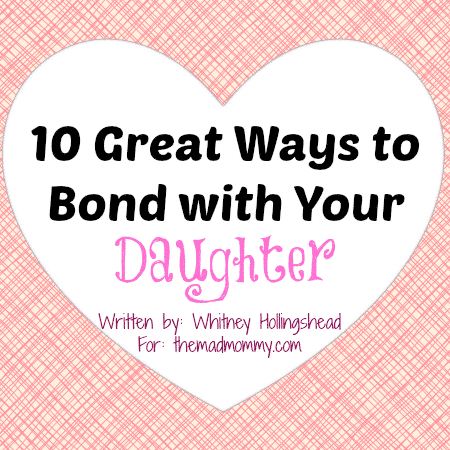 Here are ten great ways that you can bond with your daughter. This list applies to moms and dads alike and can be adapted to fit daughters of nearly any age. 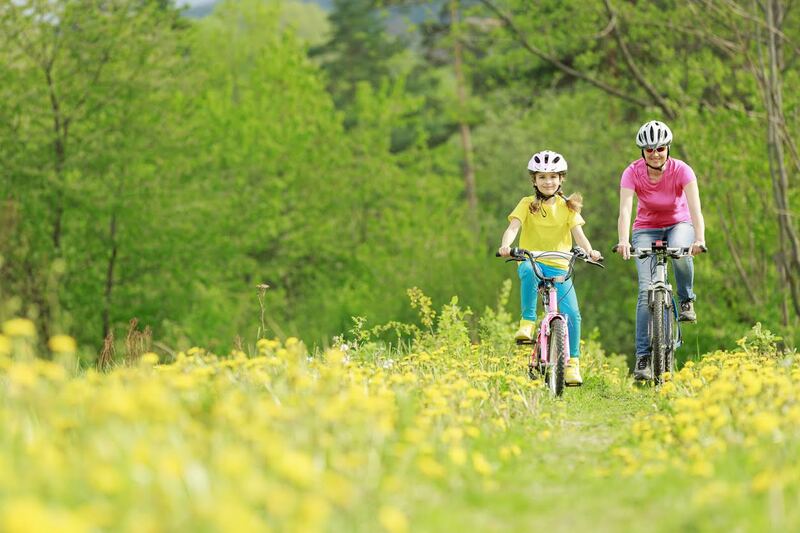 So check out these suggestions and make some lasting memories with your daughter. 1. Go for a drive together. Get in the car and hit the road together. The journey is more important than the destination. Ask your daughter about her dreams. Ask her questions about her life and her preferences. You don’t need to have a script prepared, just let the conversation flow naturally. 2. Teach her how to make your favorite recipe. 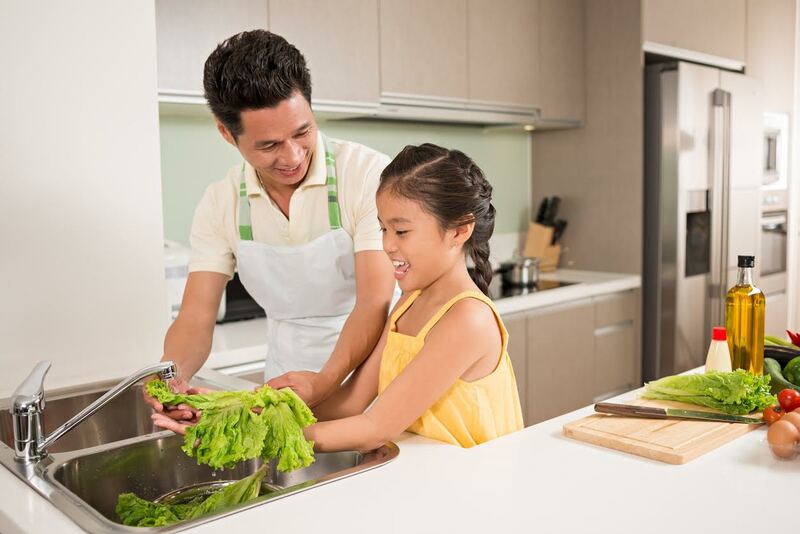 Spend some time in the kitchen with your daughter and show her how to make something that you love. The level of your expertise doesn’t matter. 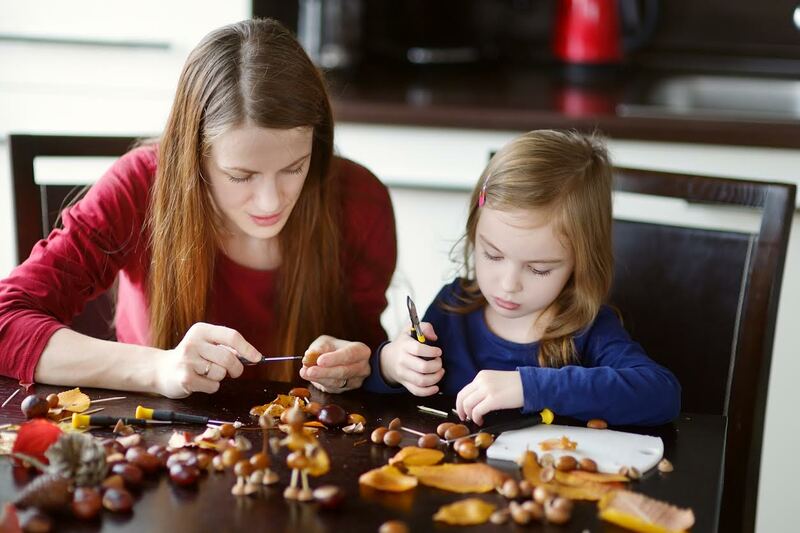 Your daughter will love learning how to make something that you love. When she’s old enough to start making food of her own, have her show you how to make something she loves (even if you already know how to make it). 3. Tell her stories about her early childhood. Every child loves learning more about where they came from. Share memories of your pregnancy or adoption process. Tell her the story of her birth, her first steps, and her first words. Recount funny memories of her years as a toddler and show her pictures as you tell her stories. She won’t remember the early years, so she will rely on you to teach her about her beginnings. 4. Exercise with her. Show by example the importance of a healthy and active lifestyle. You can go on a bike ride together, take an evening walk, shoot some hoops, dance to a variety of music, go swimming at the pool, or even go bowling. Pick a variety of activities that get you both moving and do them together. 5. Read a book together. Choose a really great book and read it together. Maybe you have a favorite book that you would love to share or your daughter has mentioned something she would like to read. Or perhaps there is a subject or story from history you are both interested in learning more about. Just make sure the book is age and content appropriate for your daughter. If the book is long, you can read a chapter together each night. 6. Relax and pamper yourselves. Spend a fun night in together and take it easy. You can order pizza, have cereal for dinner, or choose anything that requires little effort. Put on your pajamas and play a board game or watch a movie. Paint each other’s nails, put on a face mask like this one, or do each other’s hair. 7. Take her out on the town. Get all dressed up and take your daughter out for a special dinner. Tell her in advance that this is a special occasion and that you both want to look your best. Tell her later that the special occasion is that you are celebrating having her in your life and tell her why you are proud of her. Be specific and sincere in your compliments. 8. Learn a new skill together. Ask your daughter what skill she would like to learn. Maybe she has a craft in mind. Maybe she wants to take a class. Or maybe she wants to learn how to mow the lawn or build a volcano. Whatever she chooses, find a way to learn how to do it together. 9. Perform a random act of kindness for someone else. Tell your daughter that you want to do something nice for someone else and that you want to keep it a secret. Ask your daughter if she knows someone that needs help or would appreciate a surprise. While you can do a secret act for another family member, it’s great to reach outside of your family too. 10. Participate in an activity of your daughter’s choice. Play with dolls, have a tea party, or dance around her bedroom to her favorite songs. Give your daughter the chance to share a piece of her world with you. Whatever you choose, remember the most important elements of bonding with your daughter are you and your daughter. Make a plan and cut out distractions so that you can give each other the time and attention you both deserve. Read here to check out great ways to bond with your son! I’m so glad you like the suggestions! Those are all wonderful ideas. I think you can do all those thing with your sons too. My girls LOVE to hear stories for sure! And they also love to bake, read, and walk with me. Lovely ideas! I knew you would appreciate them! Now I miss Frances and can’t wait for her to get back so we can try some of these!! Great list! I will be sharing. Great ideas! I especially love number 8: Learn a new skill together. My daughter and I are Girl Scouts and sometimes we go to Girl Scout classes, just the two of us, without the troop and it’s the BEST experience. Our favorite was one about bird watching. Now we try to identify birds everywhere we go and it’s our special thing that the boys in the family don’t do. Great list! It’s funny because I already had a mental list of all the things that I would do with my daughter when I found out I was having a girl. For now we can only do a few of them since she is only two. 🙂 I can’t wait! Thanks for sharing. Great ideas. As a boy mom, we do all of these together too, well except for getting pampered together (our ideas of pampering are quite different). They even like helping me cook. Thanks for sharing with Small Victories Sunday linkup and Pinned to our linkup board. I love this list. Having a daughter, I understand the need to bond. We have done many of these things. Great post! I will definitely be using some of these ideas to bond with my girls! I will be featuring this post at the Thoughtful Spot on Monday! Thx for linking it up at the Thoughtful Spot! This is great. My daughter’s are teens now and it gets harder for them to want to spend time with mom (friends are cooler now). These are great ways to sneak in quality time to spend with them. I love this site! I have a 2yr old daughter. I enjoy her so much now and I want to continue to strengthen our bond throughout the years. Invaluable. Thanks! I enjoyed reading this post. Thank you for sharing at Bloggers Brags Pinterest Party! I love this so much! Great list.. sharing on facebook today! Such great ideas! I need to bond more with my boys too. Thanks so much for sharing!